Sun Prairie Elementary School TIA - TADI - Traffic Analysis & Design, INC. Sun Prairie Elementary School TIA - TADI - Traffic Analysis & Design, INC.
TADI's Role: To evaluate traffic operations at the proposed school driveways to Grand Avenue during the school start and end times, plus provide general recommendations for site circulation of bus pick-up/drop-off locations, access points, and internal site roadways. along the west side of Grand Avenue and north of N. City Station Drive in the City of Sun Prairie, Wisconsin. Construction for this new school (named Meadow View Elementary School) will be completed in September 2018. 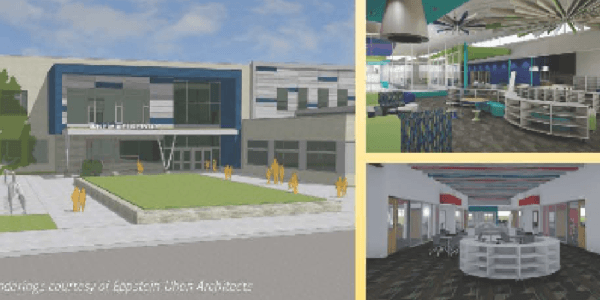 At full buildout, the school will hold 531 students. TADI completed a traffic impact analysis (TIA) report to determine the weekday morning (school start time) and weekday afternoon (school dismissal time) peak hour operating conditions at the school site driveway and adjacent intersections surrounding the school site. As part of the study, TADI provided comments and recommendations for the design of the bus pick-up/drop-off locations, access points, and internal site roadways.